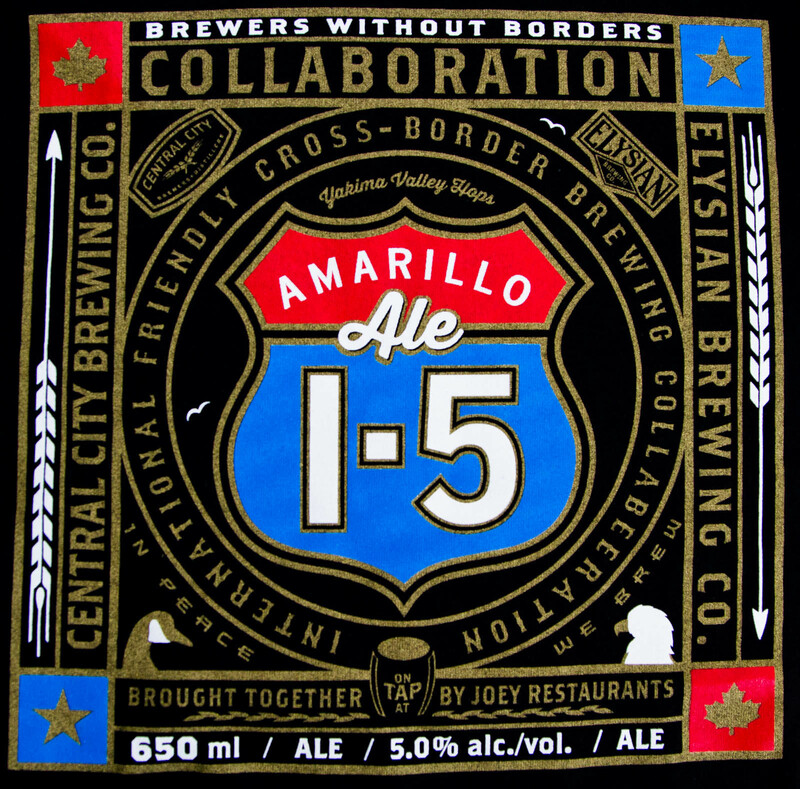 Central City Brewers & Distillers has been on a rampage recently spanning its distribution from coast to coast across Canada. 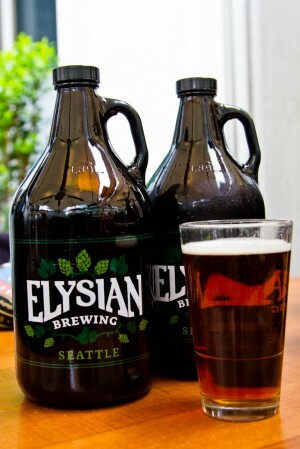 Additionally the distribution has expanded into Washington and Oregon State among many other craft-centric, USA locations. 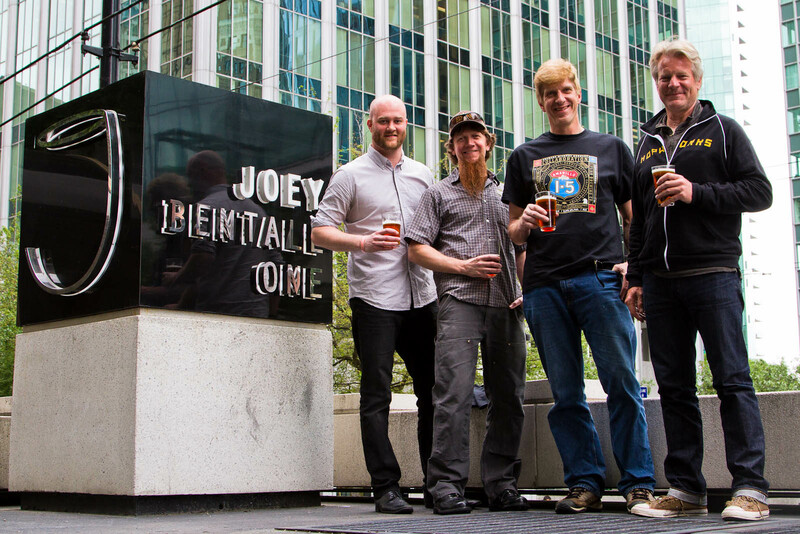 Strategically and opportunistically the Central City Brewing team partnered with Joey Restaurants to launch a new craft beer. 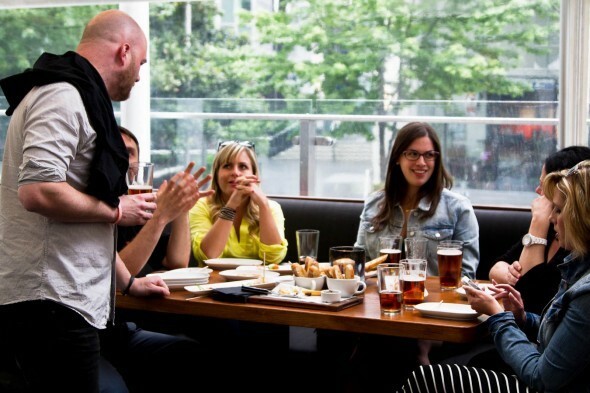 Joey Restaurants can be found across Canada as one of the largest restaurant chains in the country. With a reputation for wine and cocktails Craft Beer has been a tough nut to crack in gaining the following of craft beer drinkers. Even tougher is the Seattle marketplace where Joey Restaurants has started their infiltration to the US dining market. Together Central City and Joey’s restaurants looked south of the border to the well known and prestigious Elysian Brewery for a collaboration. 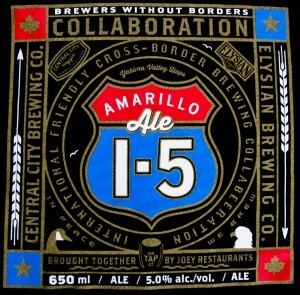 This beer is currently available on tap at the Joey’s Bentall location in downtown Vancouver. Shortly it will exclusively be on tap at Joey restaurants and a limited number of bottles will be released to BC craft beer retailers. If you would like to give this fantastic brew a try, head to your local Joey for lunch or dinner. After than you can pick up a bottle or two to enjoy at home. This beer truly represents a meeting of the minds. Brewing prowess and culinary expertise do not meet in this manner often so make your way down and give it a try. You will not be disappointed!